If you have almost a million pounds, you might be interested in a desirable property in Draycott. Yes, that’s the guide price for the land & buildings of Draycott Moor College (the old primary school) which goes to auction next week. The college, which cares for troubled youngsters, has been successful in attracting more pupils recently, and has been growing, even taking on some younger children. The roll-call now stands at around twenty-six students, some of whom come daily from quite some distances away. The growth has been such that the college has now decided it needs to build its own car-park on the site. The latest hope is that this will be completed by Easter – which will make the parking in Draycott Old Road less congested. Interestingly enough, the whole college site was suggested last year as a possible development area for new houses. (Draycott has been asked by the district council to find enough spare land on which to build twenty-five homes). Perhaps any buyer will be aware of that, and see it as an investment? It’s not often that a resident of Draycott is the subject of a front-page splash in the local papers, but that is what happened when the sad news of the death of Dr Bhupendra Dave was reported. It shows how well-respected he was as a local figure. Doctor Dave, who had served as a doctor in Cheadle for many years before retiring just over a decade ago, lived quite near to the Draycott Arms. We send our condolences to his wife Devila. A couple of weeks ago we reported on this website on all the flooding in Cresswell, which you might call flooding ‘due to natural circumstances’, as parts of Cresswell are in a flood-zone. But… there was also flooding on the Uttoxeter Road just before Totmonslow, flooding in Draycott Old Road (where sandbags had to be used), flooding on the dual carriageway slip road, among a number of incidents where you could say the flooding was different – as it was quite preventable. Now that the waters have gone down, people have been out to find out what went wrong, and a lot of it seems to be down to poor or infrequent clearing of the ditches and drains. As you can see from the photo above, the pipe which should have taken any excess water off the Uttoxeter Road and siphoned it into the parallel ditch is simply so choked it couldn’t do its job. Also, a number of drains are just silted up, as you can see in the photo below (also on the main road). However, some people also believe that the culverts under some roads have simply collapsed. Draycott Parish Council is so fed up about one incident near Draycott Old Road that it has written to the neighbouring Forsbrook Parish Council to ask them to help sort out the root causes, as the problem originated on Forsbrook’s side of the ‘border’. But, at the end of the day, our guess is that the financial cuts have bitten so deep that the county council can no longer keep up its commitments to maintain smaller districts like ours. Parish councillors at Kingsley (which is a village the other side of Cheadle) seem to think the same thing, and have written a strong letter to the Chief Executive of Staffordshire telling him not to ignore small villages. A date has just been announced for the local ‘parish assembly’ – an annual event where Draycott & district residents are asked to come together to discuss the issues that bother them in the community. By law this gathering must be held in the Spring, and is quite an old tradition, which applies only to villages and small towns – cities and larger towns are not entitled to hold an assembly in this way. However, too often, these meetings are usurped by politicians… when in fact they are meant to be a meeting for the ordinary people of a district, when they can raise and discuss whatever questions they want. If you’d like an issue discussed, Kate Bradshaw is putting together the agenda – contact her if you want something discussed or you have a query. The Draycott Parish Assembly is scheduled for Monday April 25. 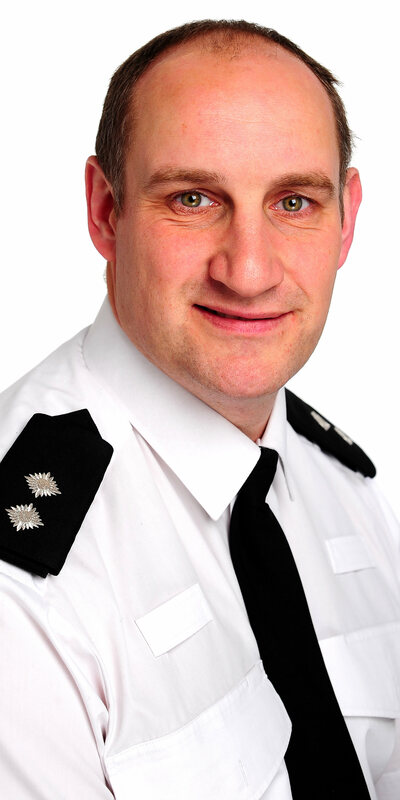 Inspector Jon Ward is the new head of policing in the Staffordshire Moorlands. He was recently appointed to his post, and he comes with a reputation as a straight-talking officer with a special interest in community policing. Insopector Ward is guest speaker at the Draycott Parish Assembly. But what exactly is the profile of local policing in Draycott and district? The way it’s done now is that each neighbourhood is allocated some dedicated police officers. And – which Staffordshire Police ‘neighbourhood’ do we fit into? The answer is that Draycott-in-the-Moors falls into the so-called Forsbrook & Caverswall Team district. Actually, the name is fairly misleading! Because, this district doesn’t just cover those two small villages: in fact, it goes as far as Werrington, and includes Meir Park, Catchems Corner, Cellarhead, Kingsley Moor, Forsbrook, Blythe Bridge and Tean – as well us as here in Draycott, Cresswell & Totmonslow – so it’s pretty big. To see a map of the area, and check on local crime statistics, click on the Police UK F&C district map. As for officers, we have two ‘Police Community Support Officers’ and a number of ‘Neighbourhood Officers (Crime)’ specifically allocated to us. The PCSOs do a lot of the community liaison and crime prevention, while you’ll most often see the NOs at the scene of a crime, or investigating one. The two PCSOs, Adam Charlesworth and Jonathan Staples, will be familiar to many of us, from seeing them at the regular community-police liaison events. Our former PCSO, Daniel Peake, who did a fine job, has just moved on. After being a PCSO for more than three years, he was promoted to full Police Constable at the end of last year. He was commended for his outstanding work in community and youth issues (see press report). As for the Neighbourhood Police Officers, the one who will become most familiar to us is PC Dave Stubbs. 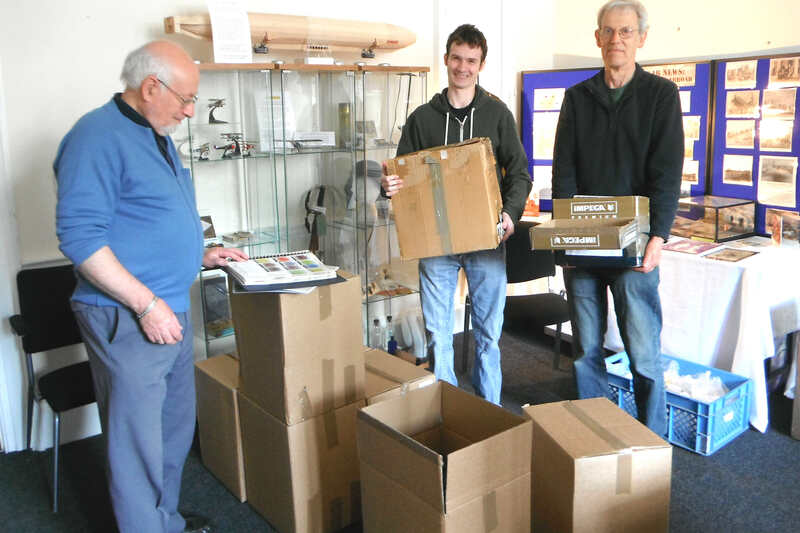 Dave is relatively new to us, being assigned to us after a reorganisation which took place last year. Four other officers keep an eye on the Forsbrook & Caverswall district, but they are expected to be more flexible than Dave. The idea is that the PCSOs, Adam Charlesworth and Jonathan Staples, are the ones who are the ‘listening-ear’; so if you have concerns about issues in your locality, you can approach them directly. They can either deal with your concerns themselves, or alert the relevant police section. Details of the full team, and their ranks, can be accessed by checking on the Staffordshire Police F&C Local Policing Team webpage. As you’ll see on the page, you can phone each of the officers directly, or even send them an email. The officers should also be approaching you. Staffordshire Police have a policy called Citizen Focus Toolkit, whereby officers should be proactively talking to residents and asking them their concerns. Of course, there are also other ways to keep across law and order issues in our district. Cresswell has recently started up its own Neighbourhood Watch, which you can join. But you don’t have to join a formal Neighbourhood Watch group – you can just sign up for personal alerts of NW news if you prefer that. Just use the comments box – further down this page.